Okay we had the coolest experience while doing service this week! What were we doing you ask? Raking leaves. And let me tell you, I LOVE RAKING LEAVES!!! 🍁😍🍂 I didn’t know that before because there are no trees in Utah. I’m not kidding guys, you think you have trees but you got nothing. Here there are trees everywhere so there are so many leaves!! I love it, this is my favorite service so far. Anyway we went to go rake a member’s yard who is in her 60s to surprise her. While we were there her neighbor came out of the house and we started talking to her. Her name is Kimberly and she was super sweet and we offered to rake her leaves. She said we could if we wanted, but we didn’t need to. Then she went with her son somewhere and we raked the two yards. Her mom peeked her head out while we were raking and said, “Thank you so much, I just had open heart surgery and this means so much!” We had no idea, but it feels so good when you really help someone out. Kimberly came back just as we were finishing and asked us what church we were from and such. She said she had never heard of the Church of Jesus Christ of Latter-day Saints. Then we said our nickname is Mormons. She seemed really surprised. She said everyone she knew ran away from Mormon missionaries and she didn’t know why. 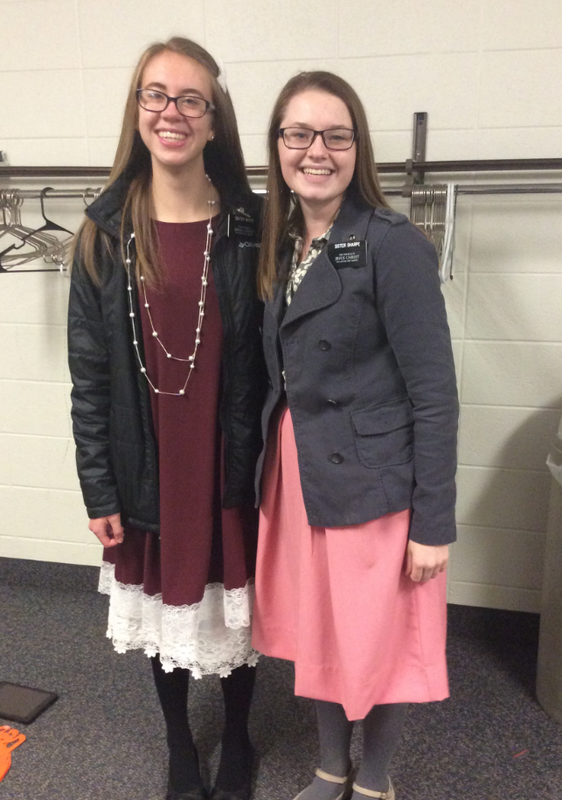 She asked some more questions about what we believed and we told her about the Book of Mormon. She seemed interested and so we asked if she would like one and she said yes! She was so excited for this “gift” we were giving her. We asked if we could come back sometime and she said sure so we are going back tomorrow. It was super cool to see that small act of service lead to someone’s opinion changing about our church and being interested in learning more.